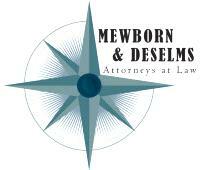 For over a decade Mewborn Law Office has provided a broad range of legal services to businesses, families, and individuals within Onslow County and throughout the State of North Carolina. Our firm concentrates its practice in workers' compensation, real estate, civil litigation, business law, family law, and criminal defense, including traffic matters. Our office also provides basic services to our clients in the areas of wills and estates. With twenty years of combined litigation experience, our attorneys and support staff provide quality representation for your legal needs. The attorneys of Mewborn Law Office have strong personal and professional ties to the Jacksonville community and are committed to the pursuit of excellence. Our attorneys demonstrate the strictest personal and professional ethics while delivering unfaltering dedication and client service. Clients can expect our attorneys and staff to be approachable, responsive, professional, well-prepared and efficient by responding to client inquiries promptly and reporting on cases regularly. Our years of experience, dedication to quality, vigorous representation in the courtroom, and understanding of the law are the foundations upon which our firm is built.